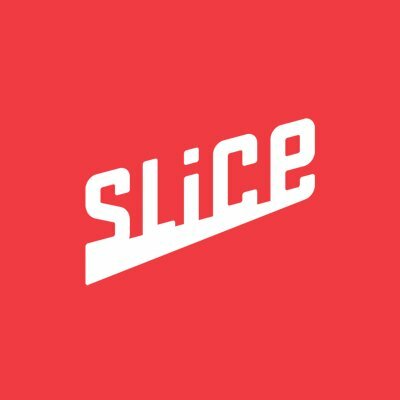 Slice is the leading marketplace connecting customers to the local pizza shops they love. We serve the $45 billion U.S. pizzeria market in two ways: by providing a pizza-centric mobile & web ordering experience for customers, & by empowering local restaurants with the technology, tools, & marketing to grow their business. Slice evens the playing field for local pizzerias against both Big Pizza & Mass Marketplaces, & we want you to join our mission. Slice has quietly bootstrapped its way to building a network of more than 11,000 pizzerias nationwide.Ilir Sela, our founder & CEO, started the company as a passion project to help his friends & family in the pizza business, but he quickly saw a massive opportunity to champion these small businesses by bringing their bites to the masses. Ilir has since built an amazing team of product managers, technologists, marketers & operational & investors all dedicated to making it easier for people to enjoy their favorite local pizza. Did you see we were recentlyApples App of the Day? Get in early & create an end-to-end Design System for the next generation of Slices App & Web experiences for both customers & restaurant owners. Join a high-performance team of Product pros from Amazon, AmEx, Gilt, eBay, Jet, Bloomberg, & more top NYC shops. Make a real difference both for the users feeding their friends/family & in the lives of 55,000 small business owners & the hundreds of thousands of people they employ. Work in well-resourced, focused, end-to-end squads to support the consumer experience in the App & Web. Working full stack: UX, UI & Research. Leverage UX research to both keep the organization focused on the users Job To Be Done & to validate product usability. Help run design sprints & prototyping. Collaborate with product managers, developers, marketers, & customer support throughout the Product process, including discovery, testing & scoping to drive successful launches & iterations. Report to Director of Product Design. 4-6 years of UX/Product Design experience, with a good portion designing for transactional/marketplace App & Web products. Good experience working in design systems. Strong knowledge of UX Research best practices. Demonstrated ability to communicate & partner well across, up & down the organization. Familiarity with leading design sprints & prototyping. Great Product Designers & UXers can come from a variety of backgrounds, & so Slice is open to varied education & experience.